September 2018 - Meet My Busy Mind. Tempers were high all across the world. Everyone had an opinion, even those who knew neither what tennis was, or who Serena Williams is. You know the most infuriating thing to tell someone in a worked-up fit? 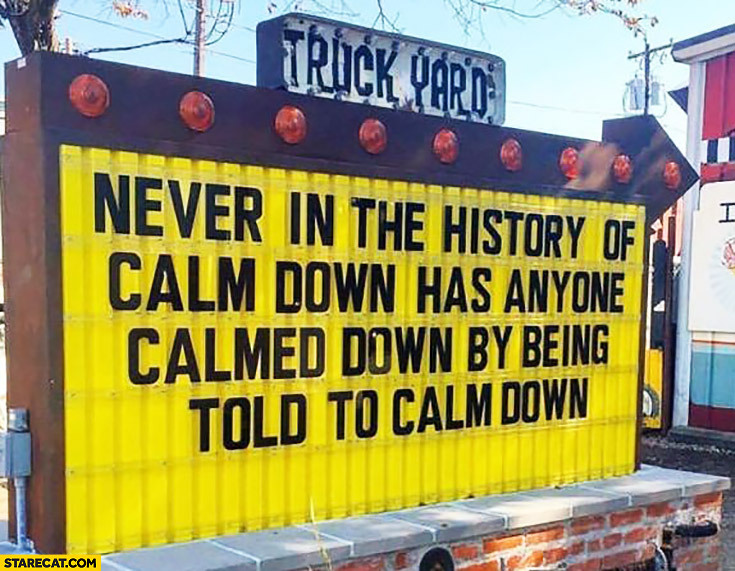 “Calm Down!”. Lol. This just revves the engine of the anger. The whole world was in a fit; everyone was shouting and no one was listening. Now that time has worked its magic, perhaps… we can calmly reflect over the events of that night and distill lessons to be learnt? I have never seen a 20-year old so poised, graceful and calm in the face of such overwhelming drama. She understood that the happenings on the field were beyond just the tennis game, and that she was just caught in the cross-fire. Rather than adding to the already brimming clash of egos, she held her own, without detracting from her goal to give her famous opponent a good run for her money, and turning her back on the drama when necessary. She realised she was collateral damage in the carnage of emotions that night, but she did not let that deter her from her prize. Naomi earned her right to deserve a win, and even though the win in this case was tainted with unwelcome controversy, she remained unshaken in accepting her well deserved accolades. Yes, she acknowledged with a shaky voice and eyes full of tears that she would have preferred the win in less-controversial circumstances. But it was still a win that day, and the world will not forget. She had earned her right to claim the crown that day. Naomi is a lesson in the vicissitudes of life, to always stay calm and focused on the goal, notwithstanding distractions thrown at us, notwithstanding that we played no part in inviting the distractions. Keep your eyes on the prize always, and know when to walk away from drama that does not concern you. That was a word I learned in the wake of the controversy. Coined by black Feminist Moya Bailey, it refers to specific prejudice targeted at black women. It has been used to explain the basis of Ramos’ actions since after the drama of that night. I am not sure I would quite quickly label him as a ‘misognoist’, even though I have seen the footage which made the rounds, of how he also meted Serena’s sister - Venus Williams - with similar harshness during a prior match. I doubt that two instances is enough to hang so heavy a label on even Ramos. (I am an officer in the temple of justice… remember?) I would probably have to review his past interactions every black females he has had contact with, before I can broadly label him as a ‘misogynoist’. But Ramos reminds me of those Nigerian lower-cadre civil servants, whom given slight power over other individuals, exploit it to the fullest while playing God over the tiniest things such as a cup of coffee. Foaming over his authority as the judge and jury over the futures of two women, and ensuring no one was left in doubt as to who the “man of the match” was. Ramos could have done without the continued penalizing of Serena; as the umpire, he had room to choose where to grant concessions, and where to put his foot down. But there is a large line between putting one’s foot down, and overbearingly wielding one’s power. Ramos is a lesson in management, in which even I have jotted down my notes: that one should be cautious to not turning into a power-tripping tyrant, thereby winning the battle, but creating a needless war and losing the respect of subordinates. If there was no God, and we were all mandated to worship another human, Serena would be my human-deity. But there is a God, and I am content with pure adulation for Serena. Her sheer grit in attaining the heights she has attained, while blazing the trail for black women all over the world and passing the positive message that you can be anything you put your heart be. 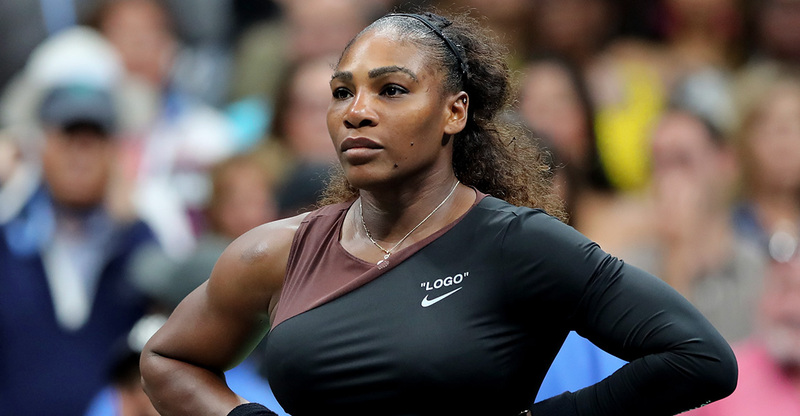 Serena has also been vocal off-courts in advocating for equal pay for women, and we have watched her body being policed, even as she has endured unequal scrutiny in playing her sport. She has endeared our hearts in being vocal about the physical strain of motherhood, and her struggle to return to her top form. I am sure that just like me, millions all over the world had placed their bet on her walking away from the courts that night with her 25th grand-slam. Which explains – although, does not justify - the unified booing from the crowd at the unexpected turn of even. But Serena… girrrrrrl, you had no business falling for the bait! It was enough that Ramos had taken one point away from her for the alleged “cheating”, even after she explained serially that there was no cheating from her end. That he was pig-headed in heeding to her explanation should have been enough of a red flag regarding his countenance to her. In my opinion, what was most painful was not that Ramos took away her point, thereby kick-starting the down-ward spiral leading to her eventual loss. It was that Serena allowed Ramos to bait her into aiding him in robbing her (and us all) of ever knowing if she would have won or lost that match, square and fair. Yes, male players are not penalized for the things Serena said. Yes, male (and other players) have been coached before during matches without being penalized. This is however is insufficient defense to an allegation of misconduct; that others had committed same wrong, without attracting equal penalty. Let us adopt the analogy of traffic offenders; a claim that an earlier traffic offender ran the red light without attracting a ticket is insufficient defense to a ticket against a subsequent traffic offender. The important thing is whether a regulation provides for certain misconduct, a breach of which attracts a given penalty. In this case, Serena’s coach’s signs to her (which the coach subsequently admitted as coaching), her throwing her racket on the floor and (justified?) insults to the umpire all resulted in breaches against the rules of the game, thereby leading to rapid and sustained penalties against her eventually leading to her losing the match. This is not to take away from the fact that the coach was clearly on a power-trip, and the possibility that he had some personal disaffinity to Serena. Unfortunately, any clear-cut complaints she may have had has been obfuscated in the light of her infractions, resulting from arguably righteous anger. Serena is a lesson in the pursuit of success; that when the stakes are high, the littlest things matter. It is better to err on the side of caution in mastering one’s passion, and not letting our buttons be pressed, thereby allowing that which drives us to be twisted by others and used against us in causing us calculated failure, or delayed progress. 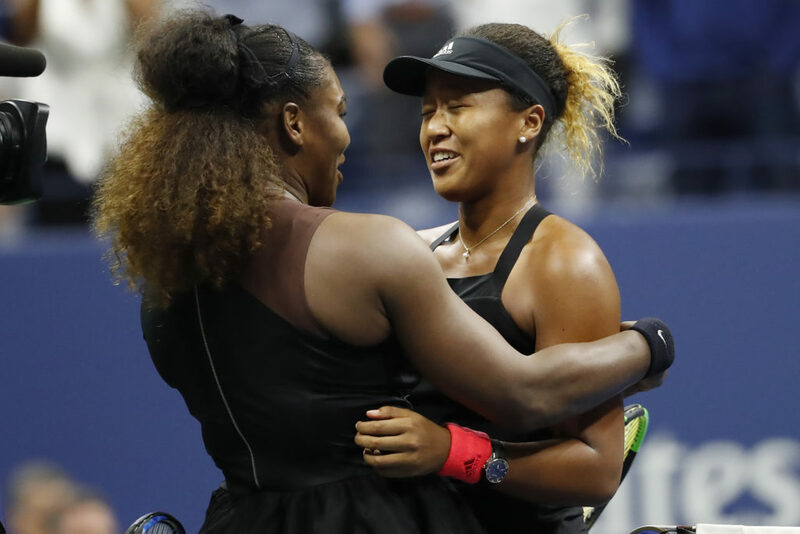 But the greatest lesson of all was the conviviality exhibited by Serena and Naomi towards each other, despite the controversial turn of events. This passes a strong message that even though we may find ourselves in situations of perceived conflict involving another person, we should be open enough in the right circumstances to understand that we are not the other's enemy. Rather, the conflict may be as a result of the actions of an outside force, which conflict should not see us turn on each other., but to turn to each other. If there are other lessons you gleaned from the events of the very eventful match, please share it below. And if you disagree with all or some of what has been stated above, let’s hear your thoughts too! Last week, I went AWOL on these streets. The short story is that it was a crazy, busy week. 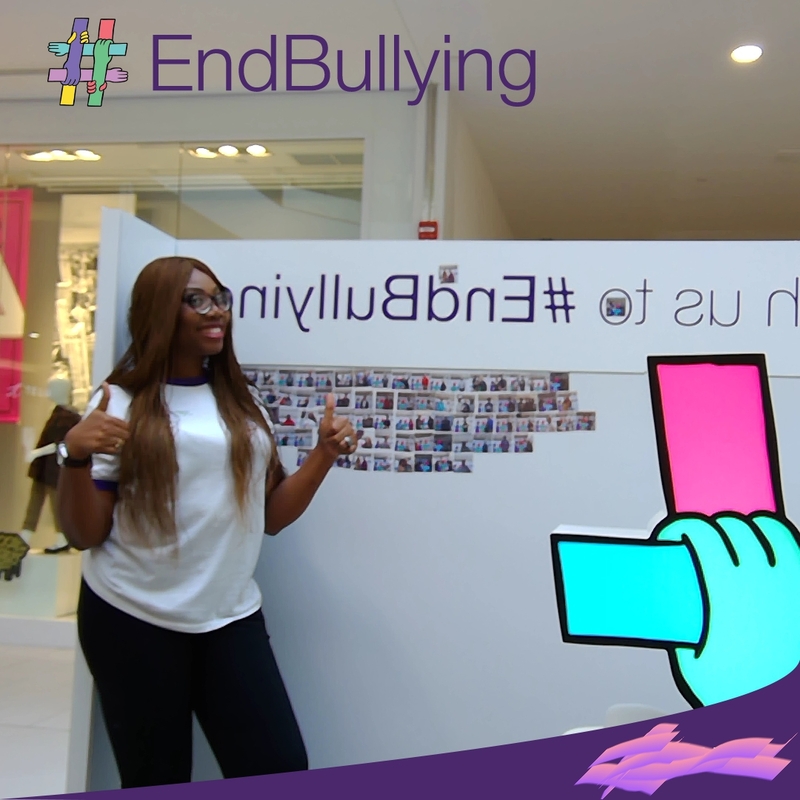 The long story is that last week, I was a brand ambassador for a campaign to end bullying in schools. I participated in the campaign for four straight days, and it was as exhilarating as it was demanding. Hence: AWOL. My part in the campaign entailed interacting with and inviting individuals to lend their voice to the campaign. On behalf of each person who added their voice, a donation would be made to a foundation focused on ending bullying in schools. See... I had never really been subjected to school bullying as a child. Well... other than the "seniority" complex expressed in Nigerian boarding secondary schools by senior students, which juniors like me found innovative ways of getting around them. So prior to this, my only understanding of bullying in North American schools was through movies such as Mean Girls and One Tree Hill. The reality of the effect bullying had on people became apparent to me from this exercise. A lot of the people who signed up shared their stories of how they had been subjected to bullying when they were younger. This became personal for me. 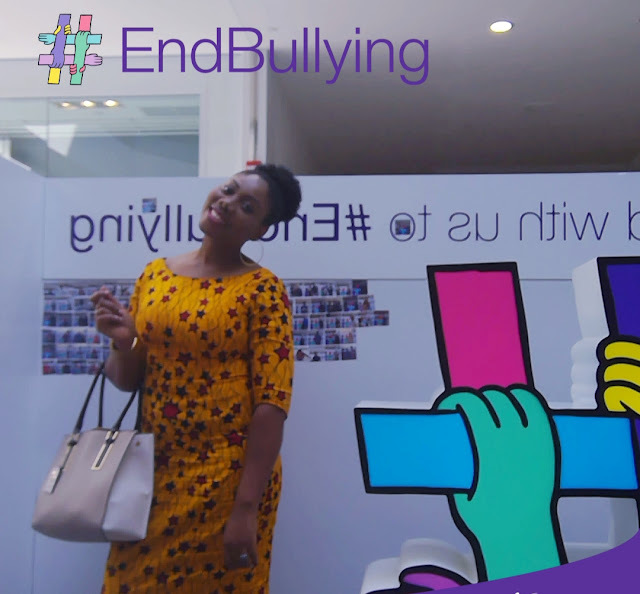 By the time my work in the campaign was done, bullying in schools stopped being a pseudo-abstract thing for me. I learnt first-hand the need to decisively put an end to this menace, especially with the “facelessness” of social media and its abuse vide online bullying. Asides this immediate lesson I learnt from the campaign, my inner eyes were also opened to something I'd been oblivious of. This campaign entailed interacting with total strangers, explaining this was purely humanitarian cause and not a bid to sell some products, and getting people to add their voice to the campaign. It entailed a lot of walking, and talking and standing for 6-12 hours. When I started, it was all fun and games for me. Until the second hour in, and my legs began to quake. Even though there were scheduled breaks... it was more physically demanding than activities I had been used to in the past. Then there was the part of having to repeat the same message over and over, with equal (and undiluted) enthusiasm. And the varied reactions to the gospel against bullying. From people happily welcoming your message and signing up, to flicking you off with one look. Prior to this experience, I'd always pride myself on being able to work long hours, late into the morning. But at least, I'd be sitting down, working at my pace, and I did not have to talk to absolute strangers every 30 seconds or so. Maaaahhhn... this was something different, and hard. This made me to realise the stuff that retail attendants, sales persons and even flight attendants go through. Maybe due to my short-sight (or just the fear of turning into a tortoise when spoken to by strangers, as a child growing on the streets of Lagos), I'd become accustomed to basically ignoring people at a public place, even when trying to get my attention for a product, service or a cause. I am was that person who would flick the person talking like a housefly and walk right past. And on maybe one occasion or the other, I have in the past been a tad bit impatient with attendants, who I deemed ‘wasted’ my time more than necessary. But there was that day during the campaign when my body was screaming "I'm tired!! ", yet, my mouth had to keep preaching the message to end bullying all the while smiling. And it hit me how some of these attendants must be dropping dead-tired, yet, obliged to keep providing services, while dealing with impatient strangers. Truth is, the most of us go through life feeling that our circumstances is the most difficult. But walk a mile in another's shoes, and you'd understand you just may be living their dream life. I am happy for the exposure I gained during this very short campaign, and the privilege to have viewed life from totally different pairs of lenses. While I am still not likely to be stopping for random strangers at Oshodi bridge (I don't want to turn into a snail), I will empathise more and exhibit a little more patience with others who have to interact with and provide services to strangers daily, all the while standing or walking the whole (or most of) the time. I have rocked those shoes, albeit for the shortest time. And I have nothing but RESPECT for the ones who wear them. If someone had told me last Thursday morning, that before the end of the day I would see my life flash past in my head, I would have simply called them a prophet of doom, and laughed it away. But I did see my life flash past me last Thursday; it was the second scariest day of my life. The scariest day till date remains some day in late 2013, when I had just returned to my birth-country from post-graduate studies in Nova Scotia. Two weeks into my new apartment, I was robbed by three armed men, at gun point. That was my welcome-home party. 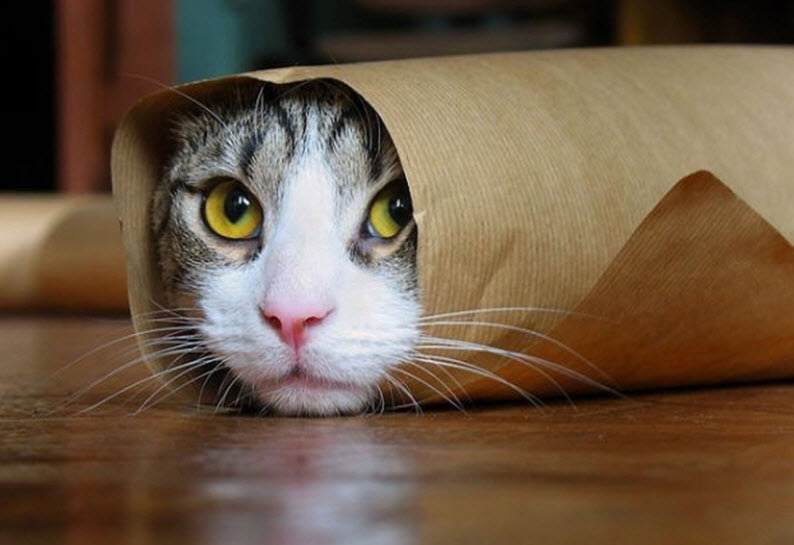 It was not the robbery that got to me on its own. It was when I went to report to the police, and after stating that they could quite easily nab the hoodlums who robbed me, proceeded to request for a N50,000 “mobilisation fee”. But that is story for another day… and I digress. Last Thursday started out like any other day. I was travelling out of the city, and was supposed to hitch a shared ride. 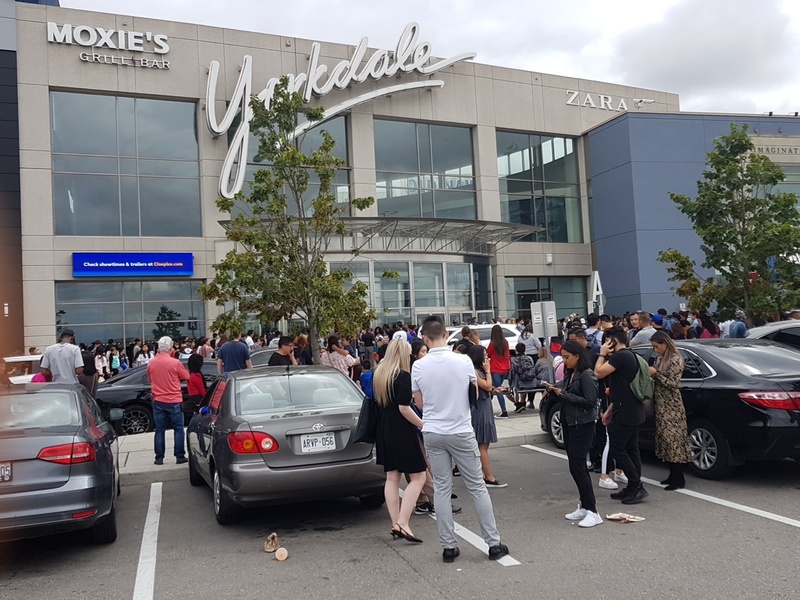 The pick-up point was at Yorkdale Mall. I got there pretty early. Rather than hang around in the parking lot, I thought to go into the mall, to the second floor food court, so as to get some Chinese food to eat, and some small-chops for the journey. As I climbed the escalator, I whined to B over the phone (via my head-piece), on the crazy cost of big-city living, and how I craved a time-machine to go back to when I was a kid, with my greatest financial burdens at the time being N5 groundnuts. Adulting is hard business, I whined. It was either the machine, or me breaking down in tears, I threatened. Me: “Honestly, I will. My only concern is what answer to give, when people begin wondering and asking me, why a 6-foot tall grown woman is crying, in the middle of the food court”. This cracked me up so much, that I sat on the chair closest to me, just before food vendors, to have a very good laugh. I had not laughed like this in a while, and while we both continued laughing, for some reason I glanced at my clock. It was 2.49 pm. I was cut mid-sentence by large screams from my right hand side, and the sound of like a million people rushing towards me, while flinging tables and chairs from the way. I looked up for a second, and that second told me many many things, and everything I needed to know. It told me, from the look on the faces of the crowd rushing my way, that people were not just being dramatic, but were running fast in actual fear of palpable mortal danger. It told me that people were not running from a fire. They were not looking for just any exits to escape oncoming fire. They were running, and dodging, and hiding, and stampeding other frozen people, in a bid to escape from something behind them that could obviously outrun everyone, and move with the speed of light. They were running from a bullet. What followed in the next couple of minutes was a combination of crazy adrenaline, years of military training in secondary school and diving under gutters while hiding from soldiers, a lifetime of jumping from moving vehicles and running into the bush on shouts of “Armed Robbers ahead! !”, tons of Tom Cruise and Jack Bauer styled movies, and raw fear. Before the whole crowd could get to me, I grabbed my 20-pound trolley box in one hand, with my handbag in the other, and started crouch-running zig-zaggedly into a space ahead. “Hello??? What’s going on? ?” B asked. I forgot I was still on the phone, and could not be bothered to unplug my ear-piece. “B, I think there’s a shooter! I’m just running”. The alarms went off, loudly blaring. It was official that something crazy was happening. “Stay low while running. Find somewhere safe. Lie down, and cover your head with your hands”. Poor B, vicariously experiencing the madness and fear from a million miles away. “No. There are a lot of us here”. When I was running, I had run toward the sunlight, to somewhere that looked like “outside”. I quickly glanced around me, and saw thirty to forty other people there, including babies, all crying, and hiding, and lying down. I looked at our surroundings, and realised it was a balcony. It was too far up to jump from, if the shooter came through the hallway at us. “B, it’s a balcony! And it’s too high up. I’m scared”. To think that only yesterday, we had discussed 9/11, and the people who had jumped … from the fire, to their deaths. “Just stay low, and hide”. There was insufficient space to lie down, so I crouched under a table on my knees, using my box as a shield between me and the glass, (which was the only thing separating us from the hallway and this evil person), while covering my head with my interlocked hands. That was the moment my life flashed right before me. My only consolation if any, was that in that moment, I was not alone. B was there with me… sort of. I made my peace with Christ, and just crouched low. A girl was wounded while running, and what looked to me like her mum was hugging her, and asking her to be calm. We all tried to be as quiet as possible as we waited, but the truth is we were very easy targets for any shooter coming down the hallway. After what seemed like an eternity of hiding and crouching (but was in reality a couple of minutes), one elderly man suddenly stood up from among us, and sauntered into the hallway. He had that air of “I am near death already, kuku kill me now”, and was even sipping a bottle of something as he walked in. By the time he had walked right to the centre of the hallway without being gunned down, other people began to get up. “B, some people are standing up. I see an exit near me, just inside the hallway. Let me see if I can find some stairs and run out from the building”. So I ran into the hallway, dashed into the exit and saw a couple of other scared people along the back of the exits. But there were no stairs in sight. There was a maze of doors, and maaaahhhn… that was when I started crying too. What if the shooter was behind one of those doors? So I moved towards the other people, and we were all moving past an exit. Suddenly, that exit burst open, and people came running in, that the shooters (plural!) were coming towards us. There was more than one shooter? Lord! I just ran back, and pulled one of the doors open. I saw a stairwell, and started running down, with my box, and bag at all. Honestly, I do not know why and was not even consciously aware that I was carrying all that stuff; there was too much adrenaline, and I had turned into Wonder/Super/Cat Woman all at once. I kept running down, and noticed legs some flights below. I peeped, and saw two men standing and talking casually. What if these were the shooters?? I remembered those horror movies where the black person is always the first to die, and said to myself: “Not today Satan. 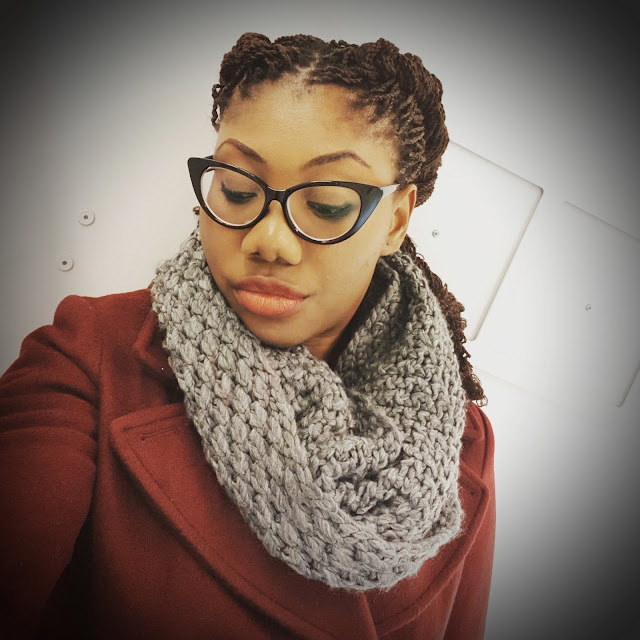 This Nigerian-Canadian lawyer-slash-blogger-slash-slayqueen is not dying today”. I quickly lugged all my stuff and raaaaaaaaan right back up the stairs, away from the two men. I ran into the cluster of people, who had begun coming down gently behind me, and muttered something incoherently to them. As we were all there frozen and confused, one of the staff-workers of one of the food vendors appeared among us, and signaled us to the right. He opened a door, used his identification card, and opened another door which led to a stairwell. He led us through that stairwell, till we got to the ground floor. I kept running, until we saw the security, who directed us safely out of the building, and I sat on the floor in the open parking lot. “Thank God!! Okay, move away from where there are a lot of people. You remember how Boko-Haram operates at home? Causing confusion so people will gather in a place, then they strike”. So I moved away from the crowd, and that was when I began to notice that my arms and knees were hurting from all the running, and jumping stairs, and crouching. I was shaken to my core. I wanted to just get away from that whole place, which explains why when the news stations called me for interviews almost immediately, I explained that I was already out of the place. I wanted to get as far away as possible from the horror. I just wanted to just get home. I know I always have lessons at the end of every post. I do not have for this one. 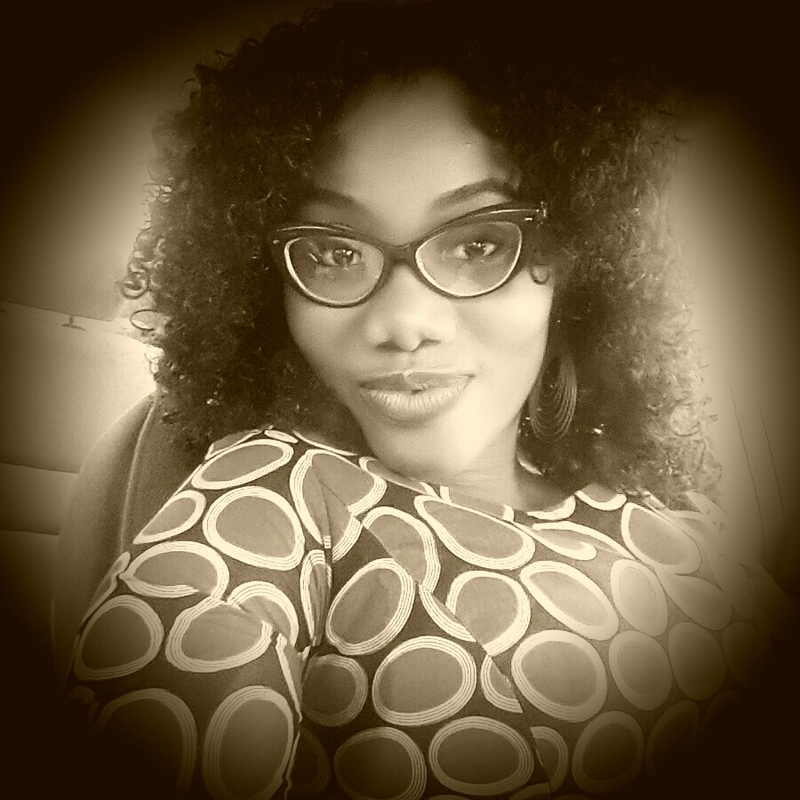 I am just grateful to God for life. And B.
P.s: I checked the time-stamp on the pictures I took when I got out of the mall. This whole ordeal for me lasted sixteen minutes. And the humour? That’s my coping mechanism.